Your urine color and odor can reveal important information about your body’s waste elimination process, providing clues about your overall health status. Your kidneys serve to filter excess water and water-soluble wastes out of your blood, getting rid of toxins and things that would otherwise build up and cause you to become ill. Many things—from excess protein and sugar to bacteria and yeast—may make their way into your urine. If you suspect you have a urinary tract problem, you should consult your physician. 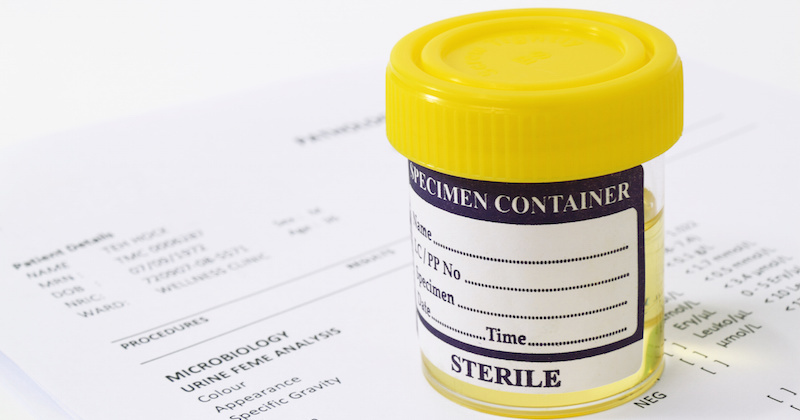 One of the first things he or she is likely to do is a urine test. Urine tests have been around for more than 6,000 years1 and are easy, non-invasive tools for quickly assessing your health status2. But some diseases can also change the color and other characteristics of your urine, so it’s important to be alert and informed. With so many variables, you can’t always be sure of what’s causing any particular urine characteristic, short of laboratory testing. However, urine’s character gives you some clues to potential problems that may be developing, giving you time to do something about it. I don’t subscribe to the commonly quoted rule of drinking six to eight glasses of water every day. Your body is capable of telling you what it needs and when it needs it. Once your body has lost one to two percent of its total water, your thirst mechanism kicks in to let you know it’s time to drink—so thirst should be your guide. Of course, if you are outside on a hot, dry day or exercising vigorously, you’ll require more water than usual—but even then, drinking when you feel thirsty will allow you to remain hydrated. As you age, your thirst mechanism tends to work less efficiently. Therefore, older adults will want to be sure to drink water regularly, in sufficient quantity to maintain pale yellow urine. As long as you aren’t taking riboflavin (vitamin B2, found in most multivitamins), which turns urine bright “fluorescent” yellow, then your urine should be quite pale. If you have kidney or bladder stones or a urinary tract infection, increase your water intake accordingly. You should now have a pretty good idea of how important it is to familiarize yourself with what’s normal for your pee. Urine is a window into the inner workings of your body and can function as an “early warning system” for detecting health problems. The most important factor in the overall health of your urinary tract is drinking plenty of pure, fresh water every day. Inadequate hydration is the number one risk factor for kidney stones, as well as being important for preventing UTIs. To avoid overly frequent bathroom breaks, stay hydrated but not over-hydrated. Drink whenever you’re thirsty, but don’t feel you have to drink eight glasses of water per day, every day. If you’re getting up during the night to pee, stop drinking three to four hours before bedtime. Limit your caffeine and alcohol intake, which can irritate the lining of your bladder. Make sure your diet has plenty of magnesium, and avoid sugar (including fructose and soda) and non-fermented soy products due to their oxalate content. Finally, don’t hold it. As soon as you feel the urge to go, go! Delaying urination is detrimental to the health of your bladder due to over-distension. Related Post: What Your Bowel Movement Tells You About Your Health. Original article was first published in DrMercola.com. Republished here with permission.